Instructions for assembly and use; instructions for preparing sauerkraut. 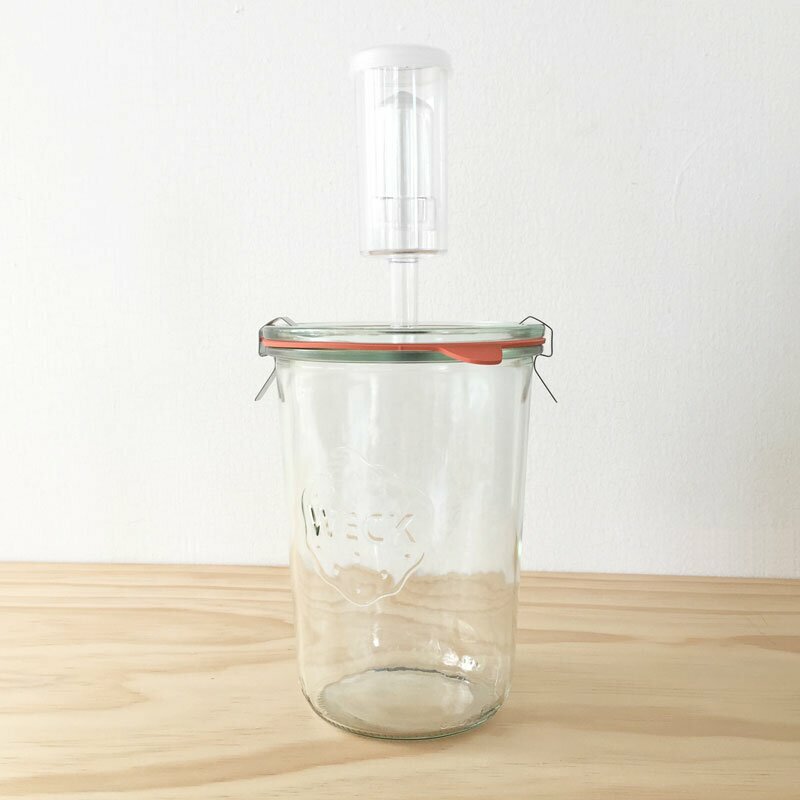 850mL Weck Mold Jar with rubber seal and clamps. Lid is fitted with rubber gromit and plastic 3-part airlock for fermenting. The airlock prevents fresh air from entering the fermenting jar but allows gasses to escape so you don’t have to worry about explosions! 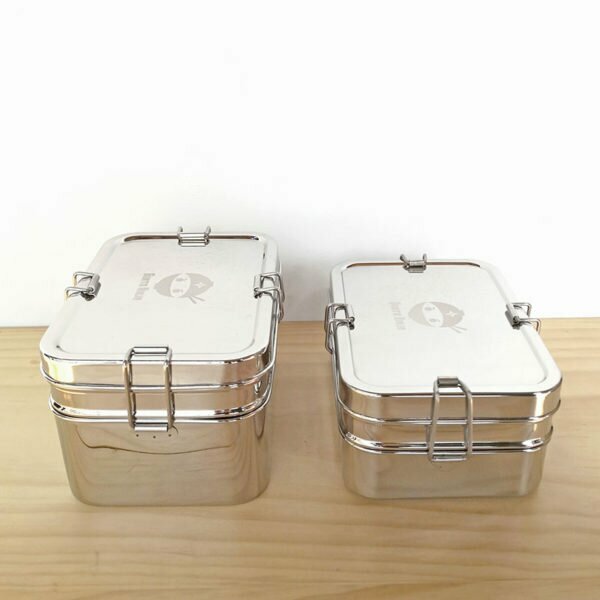 It also reduces the risks of contamination and mould. 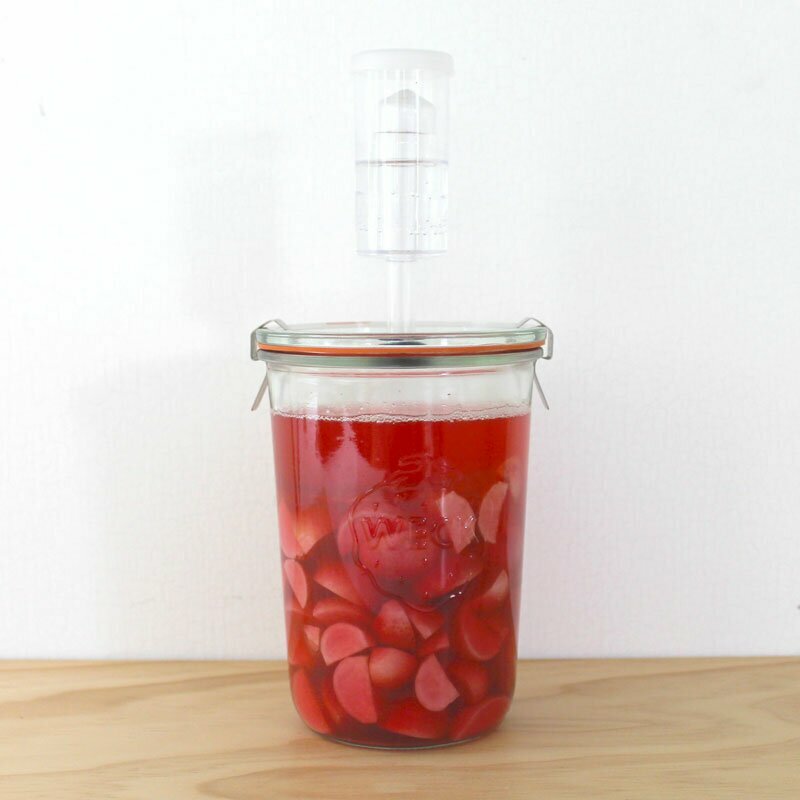 This smaller sized fermenting kit is perfect for small batches of sauerkraut (each 850mL jar should fit half a cabbage worth of sauerkraut) or smaller pickles like radishes, gherkins, and beetroot. If you don’t want your sauerkraut to discolour (this only affects how it looks, not how it tastes) keep it in a dark place. All ferments should be kept out of direct sunlight. 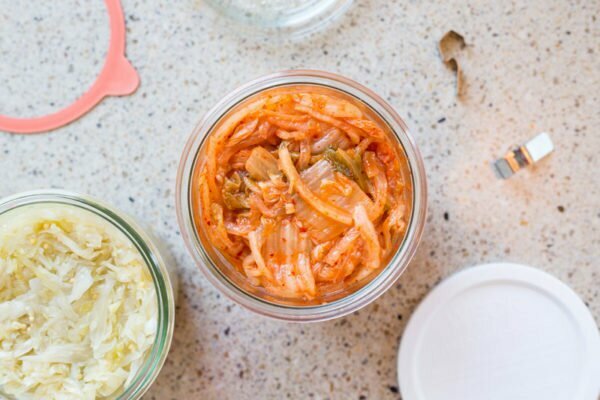 Some ferments I’ve made using this fermenting kit with great success include sauerkraut, kimchi (pictured), pickled radishes, and gherkins. 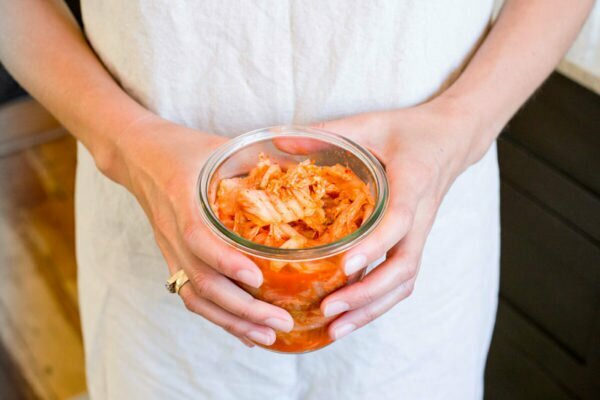 Fermenting is a great way to preserve fresh produce from your veggie garden, and a delicious way to introduce healthy bacteria to your gut flora. Perfect sized mini fermenting kit. All of the parts are such good quality and so easy to use. Shipping was really efficient too! Would recommend to anyone! I was given the fermenting kit for a b-day present and have had a lot of fun making my own sauerkraut. 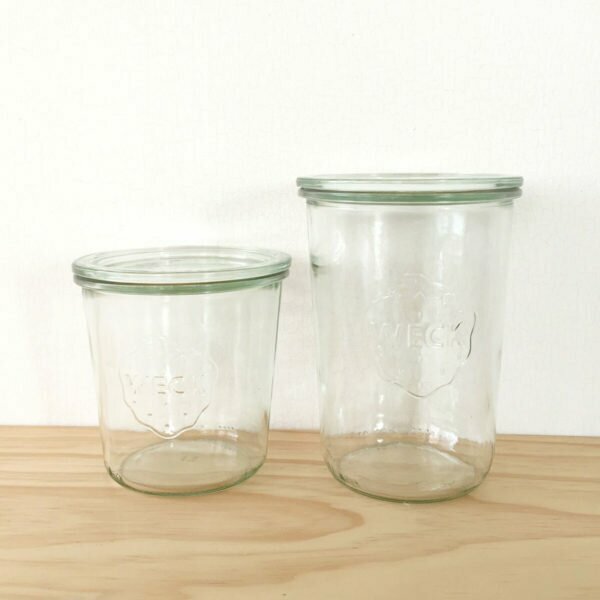 Easy to use and I love the antique look of the glass wear. 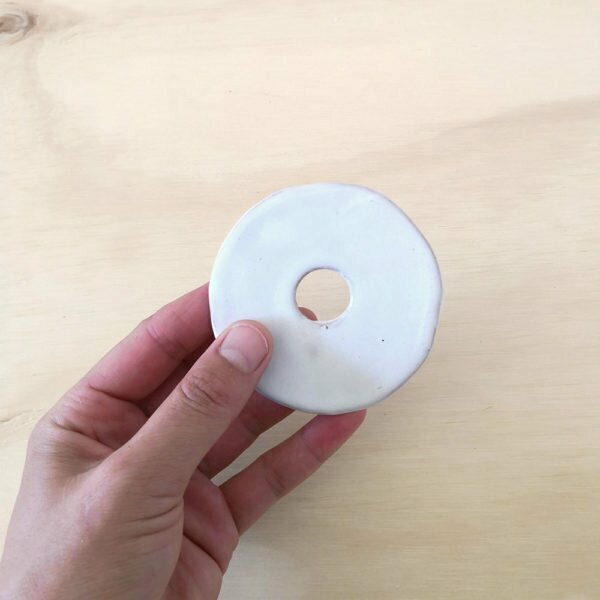 Great quality and packaged with so much care! Very excited to start using, thank you!! Awesome! 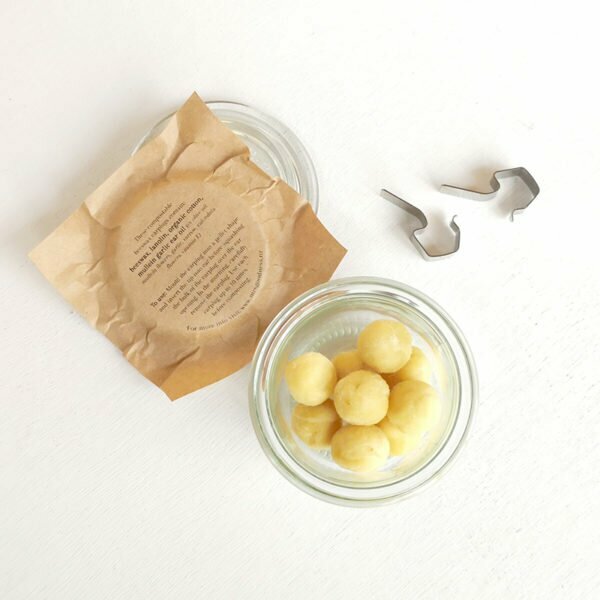 Weck is just great quality and the whole kit is perfect with easy instructions. Looking forward to getting some saurkraut goodness going this weekend.